Plot twist: As the copy lead on this multi-million dollar partnership, my design partner and I had to win the project from an outside agency. 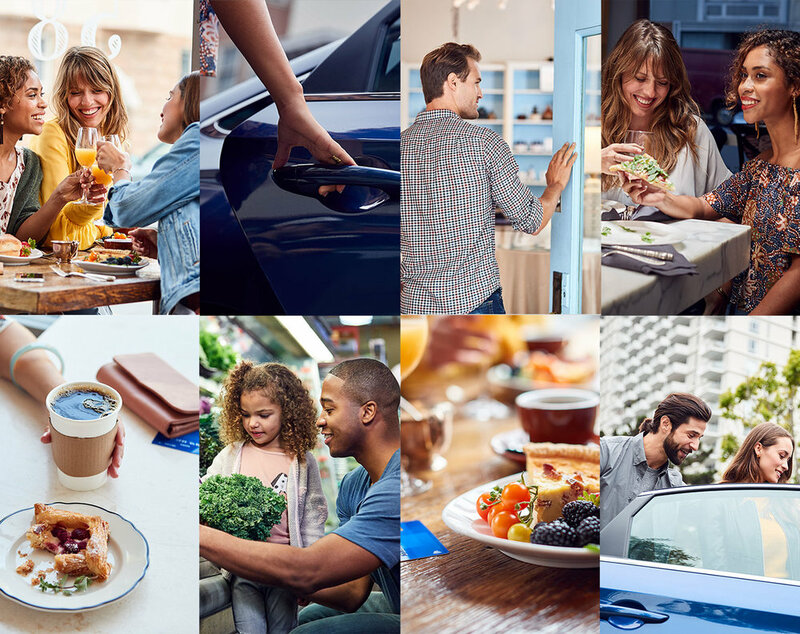 Insight: With Visa Local Offers everyday spending unlocks rewards, so you can go door-to-door with Uber to discover your new local favorites. 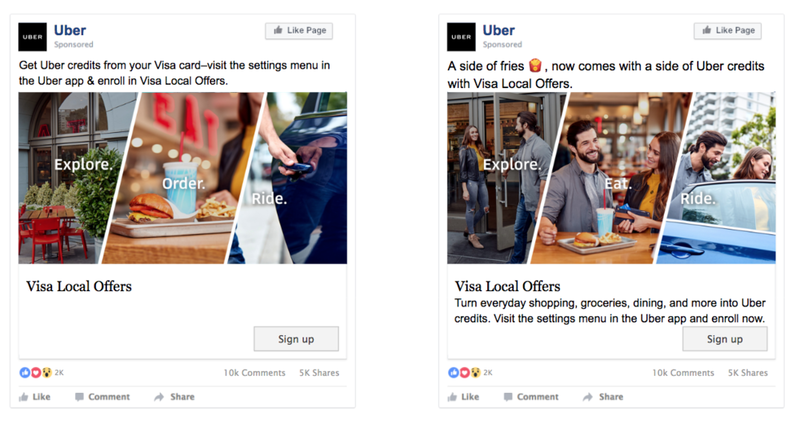 Winning has its downsides: After our concept, "Door-to-door," was selected by Visa's US marketing team, my partner and I were tasked with executing a massive launch campaign that had both Visa and Uber stakeholders. Just two months after our campaign launched in October 2017, data showed that riders who enrolled in Visa Local Offers had a 4% increase in overall trips. During the same time, our campaign had enrolled 1.6 million riders in Visa Local Offers. Instagram ad copy: Love brunch? It’s better when you get Uber credits with the check 🥂 Learn how you can earn on everyday purchases with Visa Local Offers. Instagram ad copy: Your morning pick-me-up ☕ now comes with Uber credits. Enroll in Visa Local Offers. Ben, get Uber credits with Visa Local Offers. Turn coffee, errands, drinks, and more into Uber credits with your Visa card.